Workshop | To walk through walls is to transcend the barriers we place on ourselves. Numbers are limited so please secure your place by paying a deposit of $550 by 30 April 2015. 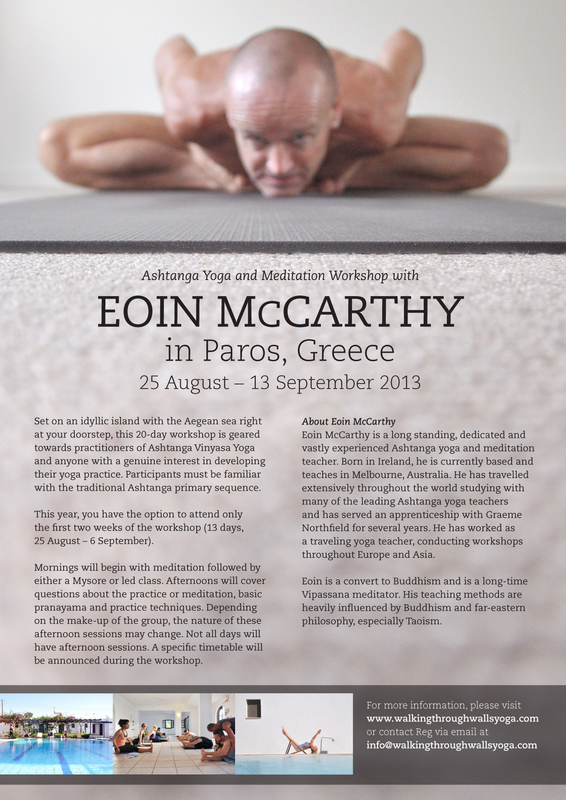 People who have attended previous workshops in Greece with Eoin will be given priority. A specific timetable will be announced during the workshop. Please bring your own yoga mat and meditation seat/cushion. Wear comfortable clothing during all the classes. Self-contained studio apartments which can accommodate up to 3 people and includes 2 rooms, one with a double bed and the other with 2 single beds, a bathroom and kitchen. Single rooms for 1 person or a couple. A share kitchen is accessible to those staying in the single rooms. We ask that all participants be at Elen Hotel by 5pm on Saturday, 29 August 2015. This year, workshop fees and accommodation fees must be settled separately. To make the payment, contact info@walkingthroughwallsyoga.com. Payment for accommodation must be settled directly with the hotel. Preferred method of payment is cash, to be paid upon arrival at the hotel. 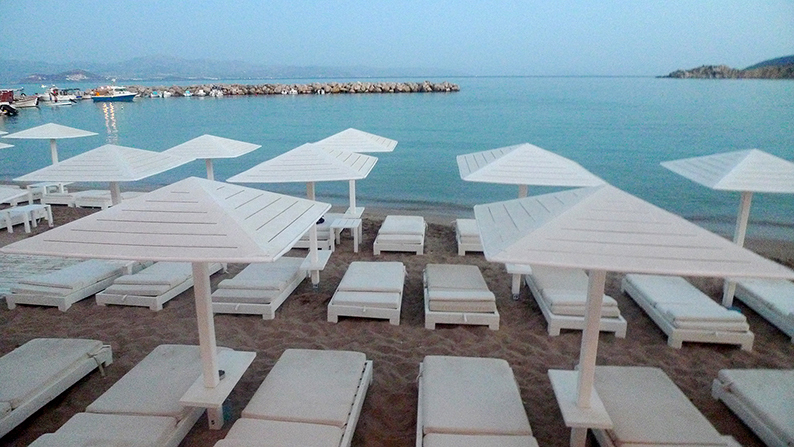 Prices are quoted in Euros and are for 20 nights. Numbers are limited so please secure your place by paying a deposit of $550 by 30 April 2014. 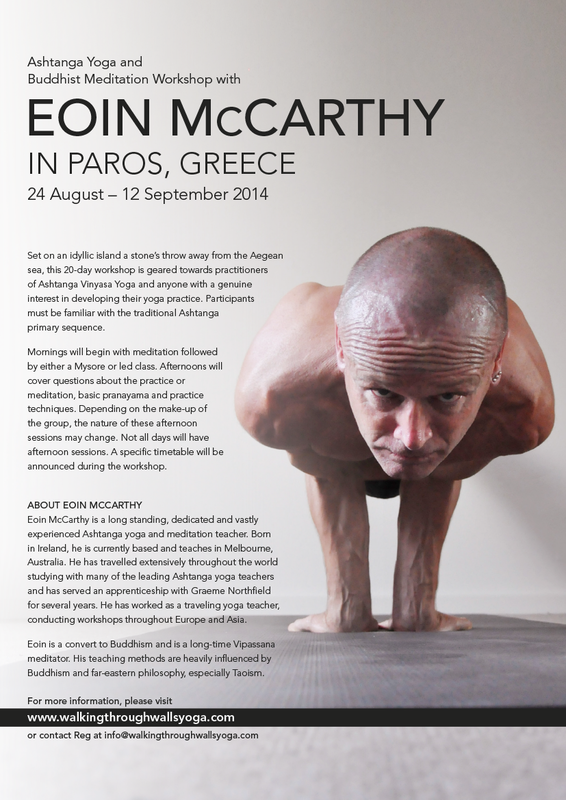 People who have attended previous workshops in Greece with Eoin will be given priority. We ask that all participants be at Elen Hotel by 5pm on Saturday, 23 August 2013. Huge thanks to everyone who came to Paros this year! It was great three weeks of sun, food, laughter and of course, asana and meditation. To view everyone bustin’ out some yoga moves (and other incriminating photos), visit the photos page and scroll down to the bottom lot of images. The new website is out!